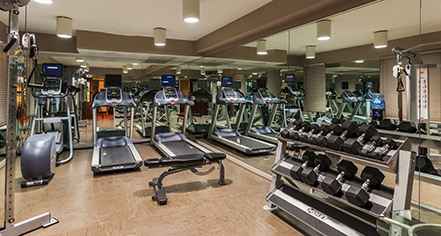 Complimentary 24/7 access to the Fitness Center featuring state-of-the-art cardio and a wide-range of weight-training options. 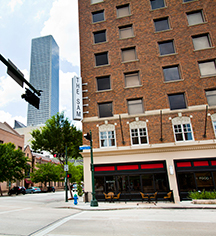 The Sam Houston Hotel also offers complimentary transportation to guests within the downtown Houston area. For guests who may be staying at the Sam Houston Hotel on business, or should a business need arise, this historic boutique hotel offers modern amenities such as audio/visual equipment rental, a business center complete with a fax, meeting rooms, office rental, and a printer. Basic guest amenities such as an ATM, baggage storage, complimentary breakfast, laundry/valet service, multi-lingual staff, a news stand, and a safety deposit box all make staying at The Sam Houston Hotel a comfortable and convenient experience.